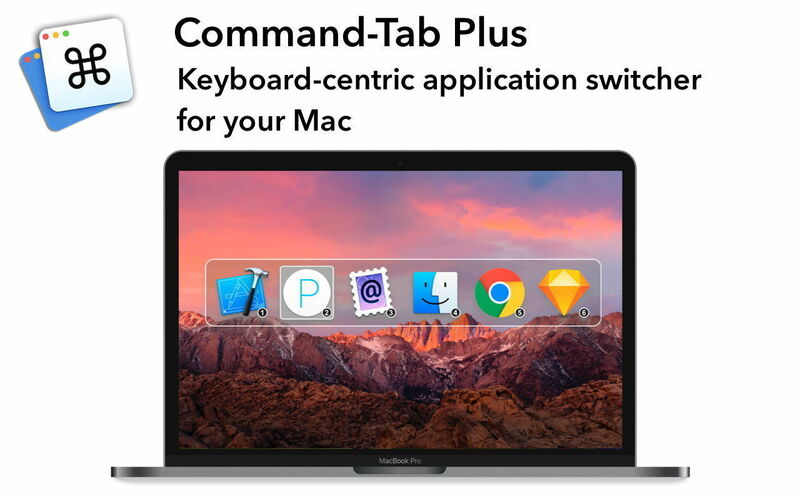 Command-Tab Plus is a keyboard-centric application switcher. It is designed to let you switch between apps in a faster and more convenient way. When you work with a lot of programs which are running, switching between them can be a problem because it often takes a long time. Command-Tab Plus gives you many improvements in working with multiple applications, and is designed to be an alternative to Apple’s native App Switcher. Quick Switch Between Applications – Using Option + Number key makes switch to an app without tapping a bunch of keys. Isolated Spaces – When using Command-Tab Plus, by default it displays only app icons are running on a current display or a space. Thus, apps on inactive spaces are hidden on the current space. Of course, you can disable this function in settings. Hide Unused Applications – Command-tab Plus hides icons of inactive (hidden) apps. This function allows you switch more quickly between apps you are using at the moment. That is very convenient if you have a lot of apps in the background, but you don’t want them to show up in the switcher. LaunchBar 6.8 – Powerful file/URL/email launcher utility. Launchey 1.5.1 – Set global hotkeys for launching your favorite apps. Alfred 3.6 – Quick launcher for apps and more.